You need to find a better way to dial in the appointment times. Very nice guyJay, I believe. Knew what the problem was and it’s all good. WASHER WHIRLPOOL WTW4800BQ1 "Washer ,,,checked washer operation ,,checked water filling in washer ,cold water not filling into washer ,took fill hose off water valve ,found no cold water coming out of fill hose ,,no cold water at water supply plumbing in house ,washer checked ok water plumbing problem with water shut off or water line to fill hose ,customer needs to repair water line in house ,"
WASHER MAYTAG MHW5630HW0 "Washer ,,,,checked washer operation ,,,ran washer spin cycle ,and found washer bouncing ,washer is very unlevel .adjusted front legs and leveled washer ,adjusted cabient for squeaking ,,,ran and checked all working good now ,"
REFRIGERATOR WHIRLPOOL WRS571CIDM01 Installed board. 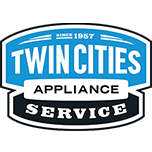 REFRIGERATOR WHIRLPOOL WRF757SDHZ00 "Found water sispenser no longer dripping other than typical one or two drips after getting a big glass of water. Told cust this is common and can happen if tye6 have a long supply run, when the water in the supply line, which is at room temp, comes in and mixes with the colder water in the reservoir it can expand and push out a few drips. This is normal. Installed new ice bucket, still having issue with ice not dispensing. Either auger motor shaft is not long enough or the auger motor itself failed. Ordering new shaft and auger motor; ordrng 1 W11185741 (AUGER MOTOR) and 1 WPW10347114 (MOTOR SHAFT)"
WASHER MAYTAG MVWX655DW1 "Washer checked washer operation l,,washer basket is not spinning ,basket is slipping ,found basket drive hub is worn and stripped out .replaced bad basket hub ,w10528947 ...part is under warranty ...just trip charge and labor ; used 1 W10528947 (HUB AND RETAINER) from stock"
WASHER WHIRLPOOL WTW5600XW3 "Washer .checked washer operation ...ran test cycle washer working in test cycle good ,checked error code f7-e1 error ,,,,basket speed fault ,,,checked for loose pulley and loose wire harness ,all checked ok .ran washer cycle and found motor getting too hot ,overheating ,,washer has bad motor ,..est $408.00 parts and labor ,,customer declined est ,"
REFRIGERATOR WHIRLPOOL WRX735SDHZ01 Installed reservoir. Tested dispenser. WASHER WHIRLPOOL MVWB880BVW "Washer ...checked out washer operation...washer is not spinning .washer basket is slipping ,and not turning ,,,found basket hub and splines are worn and stripped out ,again ,replaced basket hub and cleaned shaft .recall warranty part no charge ,under warranty ,." WASHER MAYTAG MAV8557AWW "Found unit buzzing loudly when trying to run. Checked belt needs replacement. Disconnected belt. Tested motor. Motor locked up. Needs motor. Quoted 25.54 for belt, 142.30 for motor. And 108.60 for labor. Cust wants to shop for new unit." REFRIGERATOR WHIRLPOOL WRX735SDHZ01 "Getting slow steady drip through water dispenser and water pressure very low. Also ref doors not aligned. Pulled unit out on pad and checked water supply line, found flexible line had been kinked when unit was pushed into final position. Straightened line and water dispenser now working properly, did still get a few occasional drips coming through. Leveled doors. If drip persists we will need to order a new filter head assembly, part w10753488; used 1 WP487802 (WASHER) from stock"
RANGE MAYTAG MER8600DH0 Found bake element shorted. Replaced element with part sent for job. Tested oven. Part under 10yr part warr. REFRIGERATOR WHIRLPOOL WRF989SDAE01 Installed comp and EVAP. Pulled vac and held. Charged with 5.5pz 134a. Unit running and cooling. DRYER WHIRLPOOL WGD85HEFW1 "Dryer ....checked dryer operation .dryer is noisey and squeaking ,,took dryer apart ,and found idler pulley is bad ,replace and lubracated idler pulley .tested and ran all working good now . ; used 1 279640 from stock"
REFRIGERATOR WHIRLPOOL WRS571CIDM01 Found ice maker not working. Checked and found ice maker has no power. Checked and found 3 broken wires in harness at hinge. Repaired wires. Tested ice maker. RANGE WHIRLPOOL WFG515S0ES1 "Found rf burner not lighting consistently. ORIFACE is clean, cap is clean, IGNITOR ok . Ordering base and caps. Found oven not lighting. When bake lights clock flashes and oven shuts off. After multiple attempts oven with light and work normally. Check3d harness, IGNITOR, burner. All ok. Suspect issue in control. Ordering control. ; ordrng 1 WPW10183375 (cap-burner) and 1 WPW10348656 (cntrl-elec) and 1 WPW10515455 (burnr-head)"
REFRIGERATOR WHIRLPOOL KRMF706ESS01 "Installed new icemaker and checked ops, all good. Told cust to dump ice after first 24 hours"
REFRIGERATOR WHIRLPOOL KRMF706ESS01 "Found low ice production. Checked UI for error codes. Found lost motor code. Turned off power to unit to clear code. Ran harvest and fill both pass. Ran all diag steps all functions pass. If issue persists. Please order UI, main board and valve. Advised cut to call in am if ice production still low." MICROWAVE WHIRLPOOL KMHC319EWH4 Ran steam clean cycle. Unit ran for 5 min till water boiling and steaming. Unit went into standby and timer still counted down from 10 to 0. Checked manual. Checked techsheet. Called techline. Verified theirs is normal operation for unit. Advised cust. REFRIGERATOR WHIRLPOOL KRMF706ESS01 Ran svc test on ice maker. Unit rotated and stopped. Ran fill test. Low pressure to unit. Cust has RO. Removed filter. Checked pressure better. Ran fill test. Unit filled normally. Checkemdharness and connections ok. Checked EVAP clear. Checked thermistors ok. Ran svc test 4. Unit passed. Suspect issue with low pressure with RO. Removal of filter should fix issue.